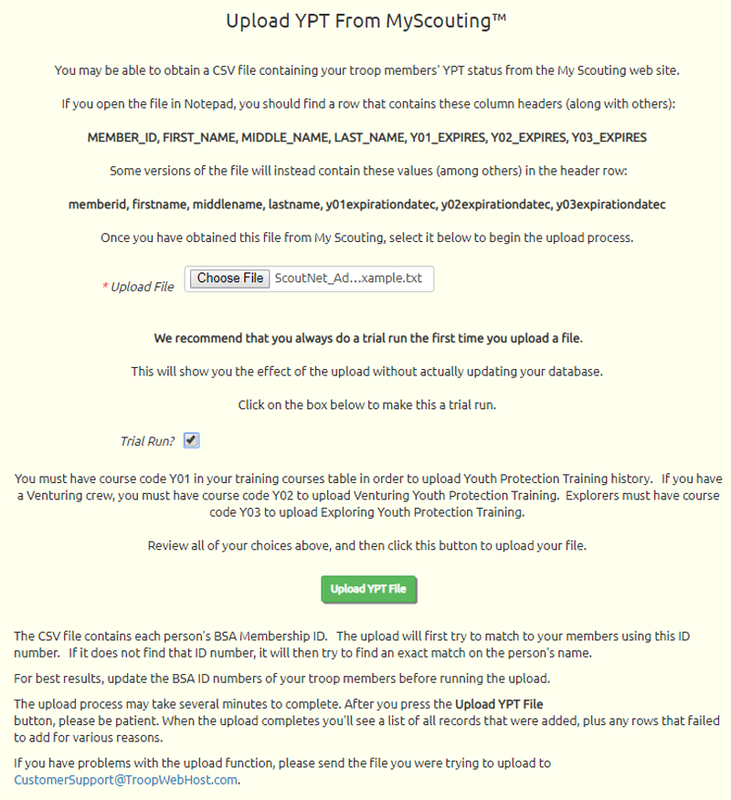 The BSA's MyScouting site has the ability to download a CSV file with the most recent Youth Protection Training (YPT) dates for your leaders. We now have a way to upload this file to your site's training history records. This is available for Boy Scouts, Cub Scouts, and Venturing Crews. In TroopWebHost, this program can be found at Membership → Training → Upload YPT From MyScouting. In TroopWebHostCS, it can be found at Membership → Upload YPT From MyScouting. The upload will ignore any training that is already on file in your TroopWebHost site, so as not to create duplicate entries. 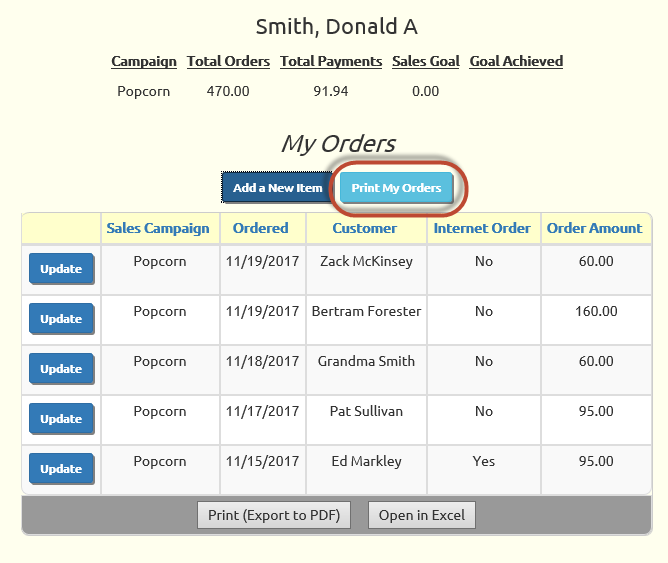 Scouts may now print a delivery report that lists the information about each of their completed orders for the current sales campaign, including the name and address of the customer and the items ordered. Scouts can select this report by going to My Stuff → My Fundraiser Sales, as shown below. Scouts can use this report to organize their deliveries. Parents can also produce this report to review the accuracy of their son's orders. The report will print each order on a separate page, as shown below. 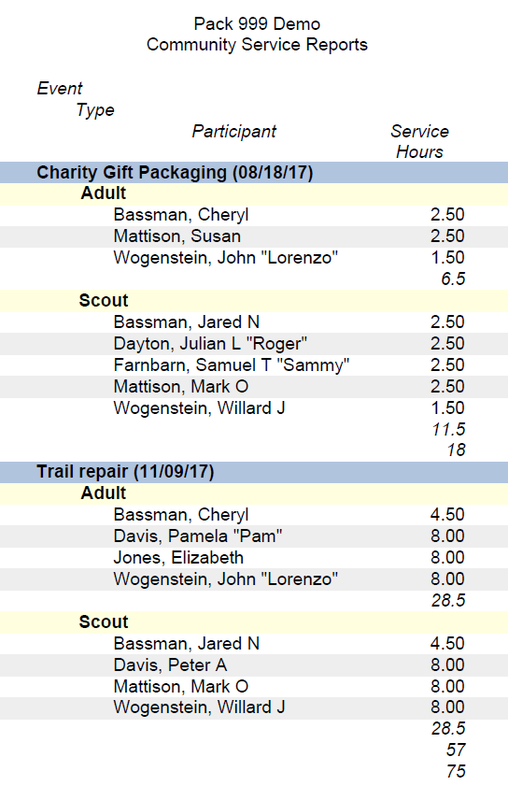 Cub Scouts and Girls Scouts now have two reports to summarize community service hours performed by their members over a selected date range. These reports can be selected from Events → Event Reports → Community Service Reports. The reports can be grouped by member category (scouts vs adults) or by event (shown below). 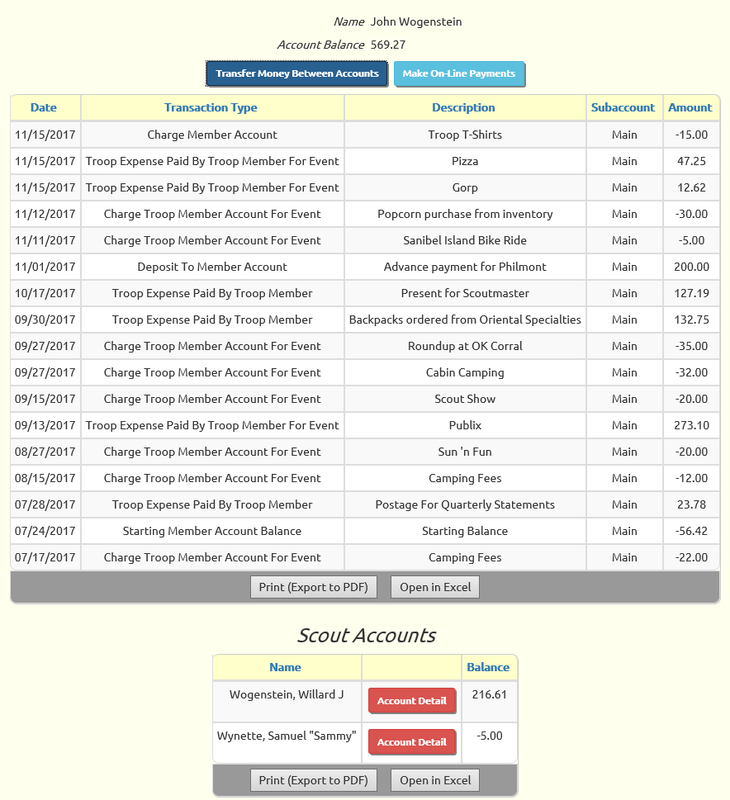 The Boy Scout version of TroopWebHost now allows parents to view their sons' account balances from the My Account page. This makes it easier for them to determine the amounts that need to be transferred between accounts.